Before I got married, I have little no knowledge at all in the kitchen. I don't know how to boil an egg and I don't even know how to cook rice using a rice cooker. Seriously! But that was 12 years ago. 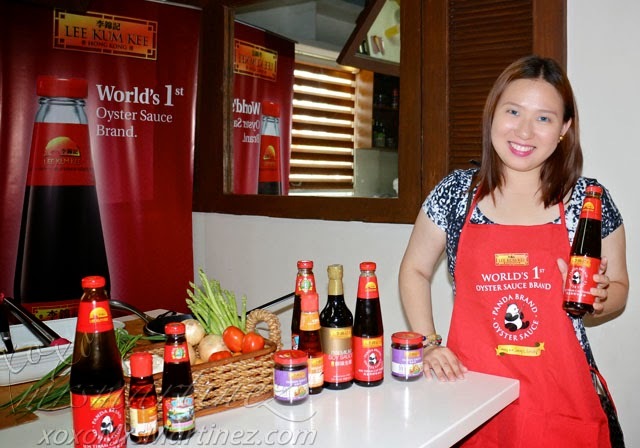 Thanks to my mom for sharing her secret to an appetizing meal, Lee Kum Kee, I can now whip up several dishes like grilled salmon, stir-fry veggies, and my own recipe- Lean Pork & Corn, all with the help of the World's 1st Oyster Sauce Brand since 1888. 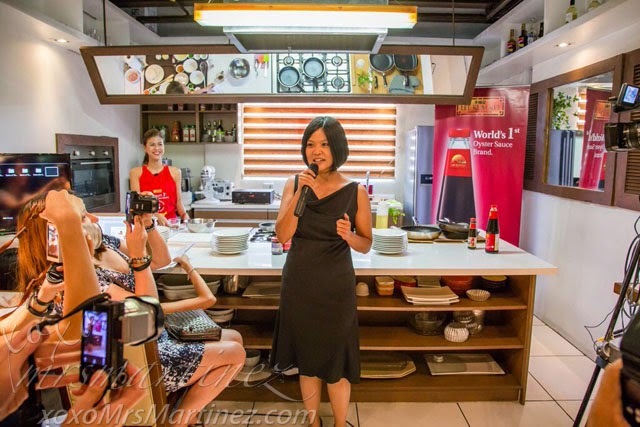 When I received an invitation to experience a cooking workshop with Lee Kum Kee, naturally, I said yes. I want to learn more about the brand I have been using and I also want to try out new recipes shared by my fellow moms. Did you know that a specialized team monitors every step of the production process of Lee Kum Kee Oyster Sauce? Oysters are carefully selected and harvested from their own farm and processed on the day of the harvest to retain its freshness and purest taste. After a brief introduction and welcome remarks by Ms. Shiao Chew Chan, it's cooking time! 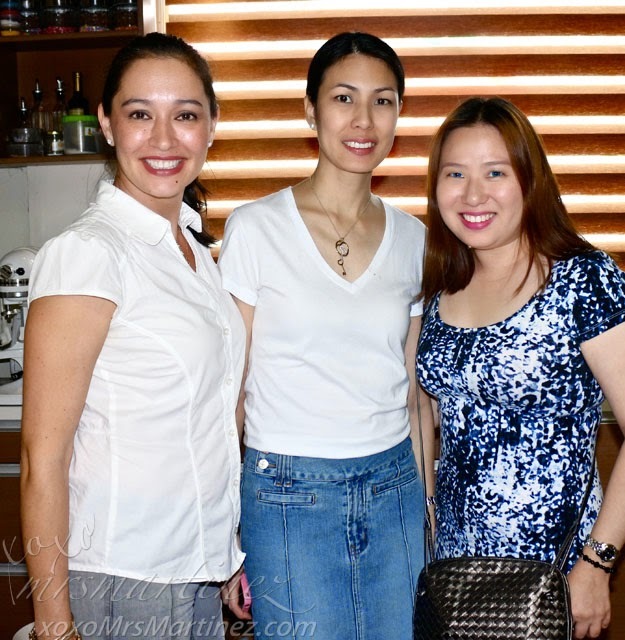 The Lee Kum Kee Recipe Swap was led by TV personality, Suzi Entrata-Abrera together with blogger moms- Michelle Aventajado, Michelle Lim and Eliza Ypon. In a pan, saute onion until fragrant. Add garlic. Add pork to the pan and cook until browned. Pour Lee Kum Kee Oyster Sauce, fish sauce and sugar over pork. Mix well. Add tomatoes and cilantro. Set filling aside. In a bowl, whisk eggs and pour over non-stick pan. 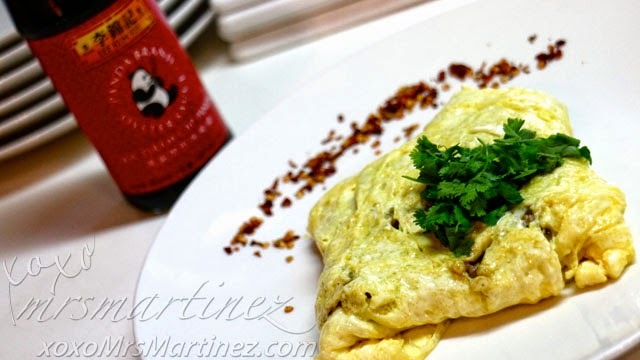 Before the egg completely sets, place filling in the middle of the omelette and fold over to seal. In a pan, saute the onion and garlic in oil until fragrant. 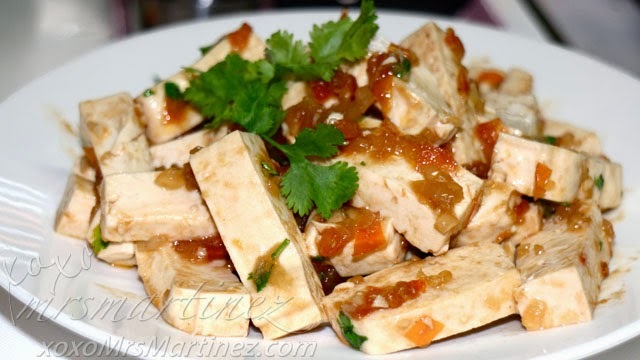 Add tofu and cook until light brown. Add tomatoes. Add Lee Kum Kee Oyster Sauce mixture a little at a time. Optional- add cornstarch water to thicken the sauce. Add cilantro leaves for garnish. 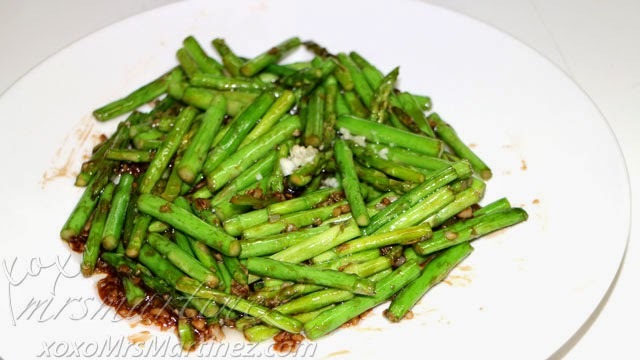 In a shallow dish, mix vegetble oil, rice vinegar, sesame oil, Lee Kum Kee Oyster Sauce, green onions, ginger, and garlic. 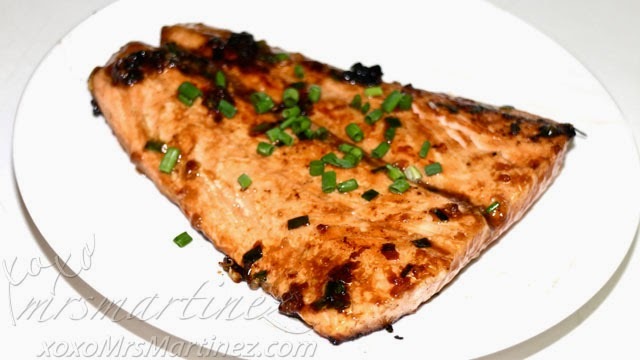 Place the salmon fillets from the marinade and place on the grill pan. Cook one side for 5-8 minutes and turn the fillet to cook the other side for another 5-8 minutes, depending on the thickness of the fillet. You may check if the fish is done by using a fork to flake the meat. In a pan, saute the garlic in oil until fragrant. Add the asparagus and cook until desired doneness. Do not overcook. Stir in the Lee Kum Kee Oyster Sauce and season with salt to taste. 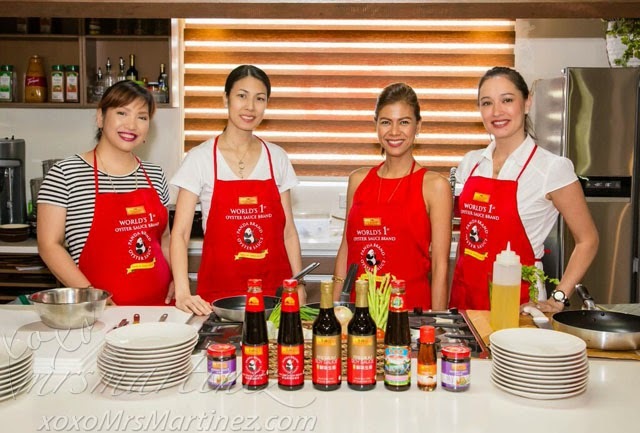 While these 4 moms have different cooking strategies, they all agreed that Lee Kum Kee Panda Oyster Sauce effortlessly brought out the best in their dishes, enhancing flavours and highlighting the premium goodness of the ingredients. 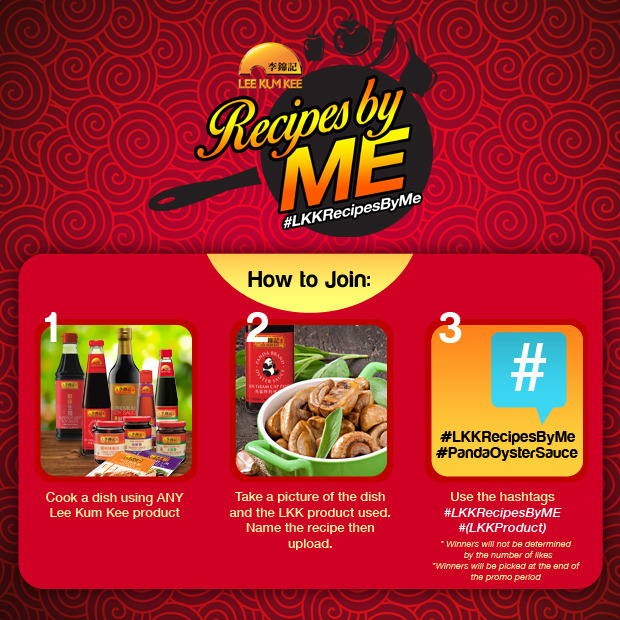 Cook a dish using ANY Lee Kum Kee product. Take a picture of the dish and the Lee Kum Kee product used. Name the recipe then upload. 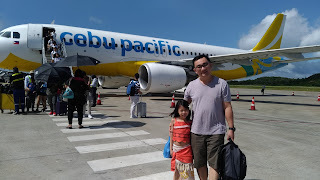 Visit Lee Kum Kee Philippines on Facebook for the full mechanics. Terms & Conditions apply.